Nikon's Coolpix S9100 is a very capable and versatile compact digicam. Very good image quality and excellent performance combine with a slew of creative features to give you an excellent travel or everyday camera. Read more in our Full Conclusion. Marked by an impressive optical zoom and other high level features, the Nikon S9100 offers the consumer an 18x wide-angle zoom as well as a 12.1-Megapixel CMOS image sensor (backside illuminated). In addition, the S9100 uses a 3-inch 921K dot resolution LCD screen, excellent for framing your shots and sharing photos and videos with friends on the fly. The Nikon S9100 records in full 1080p HD resolution, and can capture still images during a recording. In terms of features, the camera offers an Easy Panorama mode, HDR functionality, Night Landscape mode and Nikon's hybrid VR (Vibration Reduction) image stabilization. 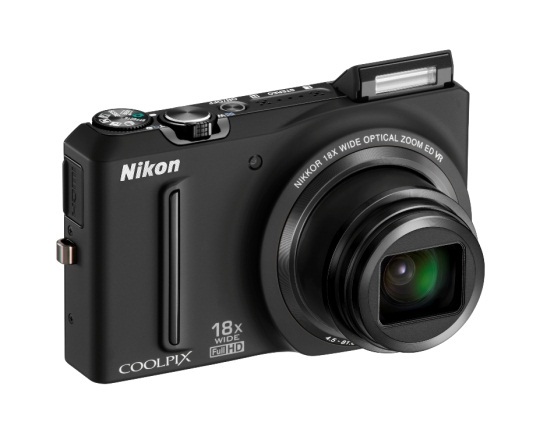 The Nikon COOLPIX S9100 is available in three color options: Black, Silver, and Red. You can one pick up for approx. $329.95 US. See our buy boxes below for more accurate online pricing.